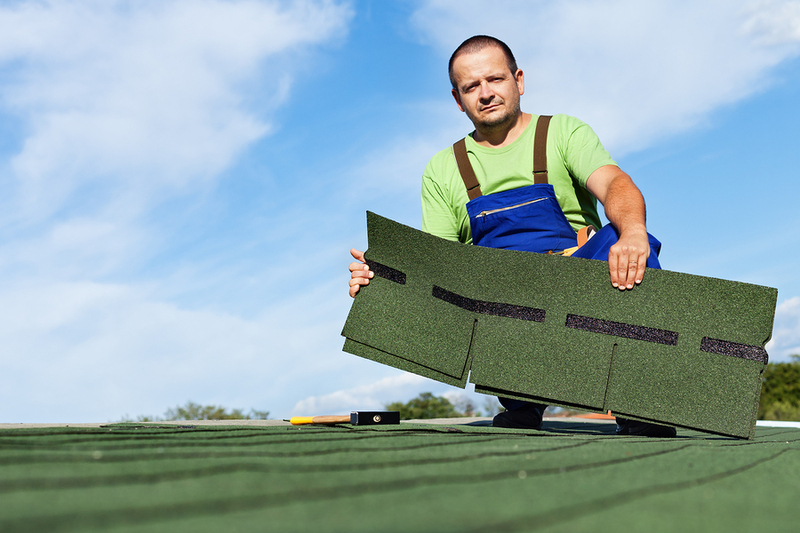 Searching for Roofing Contractors Insurance in Philadelphia? Humphries Insurance has well-versed agents who are ready to help you get the coverage you need! Call us today at 215-646-5633 or click on roofing insurance Philadelphia to begin your quote. Roofing Insurance in Philadelphia – Ways to Keep Safe! Roofing is considered one of the most dangerous professions. There are a lot of risks involved, primarily of bodily harm. Accidents can be common, but there are some simple steps to help keep you safe while on the job. Make sure you don’t work alone. It’s important to have an extra set of hands around to help with equipment and if there is an accident someone can call for help. Your ladder should be in good condition and on a level surface. You can also attach a ladder to the roof for an added safety railing. If the roof is wet or slippery avoid walking on it. A good quality pair of boots with excellent traction and support is important to keep your balance and comfort while working. Wear the appropriate safety gear, such as a well-grounded harness, safety glasses, and hardhats. Finally, it’s important to clean up as you work. Stray nails or shingles can become a tripping hazard. Roofers Insurance Philadelphia – Buy Coverage from Day One! Alfred Lorraine owns a roofing company, Lorraine’s Roofing. When he started he didn’t have the money to pay for insurance so he did his best to be very careful while working. It was a slow start but he enjoyed working with his hands out in the fresh air and sun. A few years go by and word of Alfred’s skill has helped him become a well-known name in roofing. His business is really gaining momentum. Alfred is able to hire a few more workers to help him, and he begins to think about getting insurance mainly because customers are asking for it. He purchases a Philadelphia roofing contractors insurance policy from a local agency on April 1st. A few weeks later Alfred receives a notice in the mail that he’s being sued! One of his previous customers is claiming that the roofing repairs Alfred had completed on his home caused a leak in the attic leading to extensive water damage and black mold. The customer states in his lawsuit that Alfred incorrectly installed a downspout that led to the water leak. The client is suing Alfred for $50,000 in damages. Alfred is worried and relieved at the same time. Worried because he’s never been sued before and he prides himself in his workmanship but relieved because he had the foresight to recently purchase a contractors insurance policy to cover claims like this. Seven days later Alfred receives a claim denial from his insurance company because he was not covered by the existing policy at the time that the job was completed. Alfred learned a hard lesson as he needed to file bankruptcy and close his company because he could not pay the $50,000 judgment assessed against him. For the best protection, Alfred should have purchased roofing contractors insurance before he first began to repair and replace roofs. Roofing Contractors Insurance Philadelphia – Call Us Today! At Humphries Insurance our skilled agents are ready to help you get the right coverage for a price you can afford. Call us at 215-646-5633 or click on roofing contractors insurance Pennsylvania to begin your quote today.